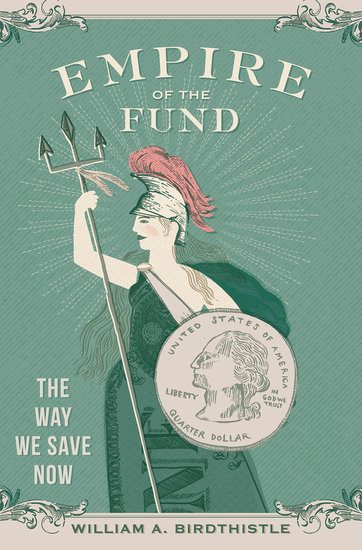 I know Birdthistle devotes the last section of his book to what we can do to improve the way Americans invest, as well as how to remove the capitalistic incentives and occasional grift that make investing (even in those supposedly prudent mutual funds, the flaws of which form the biggest chunk of the book) both complicated and risky. But I’m not interested in what we might do at the structural or federal level. Goodness knows the federal level has enough problems right now. I’m interested in what people like us — that is, everyday investors who are trying to save for retirement — are supposed to do today. Empire of the Fund is not a great book to read if you’re the type of person who is proud of her ability to set aside money for retirement, diligently diversified among mutual funds that represent the domestic stock index, the international stock index, and the bond index — plus, just to be safe, a target-date fund. It’s also not an exceptionally good book to read if you’re the type of person who opened an individual brokerage account in order to try to grow her income beyond the pittance of interest offered by savings accounts and is currently diversifying those contributions among various ETFs. And no, it would not have been a “better choice” to invest in money market funds, the advisors of which successfully convinced the SEC to allow them to not share tiny fluctuations in value with investors, giving people the impression that their money was as safe and stable as if it were in a savings account. The removal of the fluctuating NAV eliminated a subtle but constant reminder that these funds were investment funds and they carried the real potential for loss. And though the now looked an awful lot like bank accounts, they most decidedly were not. They did not, after all, carry FDIC insurance. So, in the event of a serious problem, investors would not be made whole. Of course, advisers appreciated not having to pay that insurance; it allowed them to offer yields higher than bank accounts or to pocket the difference. This heady admixture of bankiness without the burdens proved wonderful for money market funds and, of course, their advisers; they drew in billions, then trillions of dollars, much of it from bank accounts. The book identifies dozens of similar subterfuges, most of which serve the dual purpose of A) convincing us to invest in a particular fund while B) siphoning a portion of our hard-invested money towards investment companies and advisers. In the chapter on target-date funds, for example, Birdthistle notes that many of the individuals who lost money in the 2008 financial crisis were older Americans whose target-date funds should have, at this point, “shifted almost entirely away from risky equities and into safer fixed-income investments.” But these funds were still at least 50 percent equities. Why? Birdthistle lists a few reasons, including the fact that equities make more money for investment advisers and fund managers. The book is an eye-opening behind-the-scenes look at what goes on when we purchase shares in a mutual fund or pick one of the 401(k) investing options our workplace provides, and why so many people and companies are working very hard to get a cut of our contributions. It also reveals how individuals and companies with greater wealth and resources can reduce the amount of money we receive on our investments; when a brokerage allows a high-value client to make an after-hours trade, for example, the profit that client earns on their investment comes out of the returns that might have gone to the rest of the mutual fund’s holders. If one were to attempt to replicate the Dow Jones Industrial Average — perhaps the most widely cited barometer of the U.S. stock market’s performance — one would need to acquire a portfolio of thirty different stocks. The cost of purchasing even a single share of each of those thirty stocks would amount to a total of more than $2,500. Acquiring thirty different stocks would require placing thirty different trades with a brokerage firm. With the commission of $9.99 per trade that the online brokers E*Trade and TD Ameritrade charge, the transactions costs of assembling a Dow Jones portfolio would amount to $299.70. Which means I’m left asking myself whether there is a better option than the one I’m currently invested in. What about you? Share your thoughts and your questions in the comments — I’ll be passing the questions along to William Birdthistle, and will report back with his answers.